BaselWorld, SIHH and now the Geneva Time Exhibition (GTE) or the Independent Swiss Watchmakers’ Fair which began on January 17 at Geneva’s International Conference Centre. Having done the Parmigiani, the Breguet and other biggie brands one thought that was all about Swiss watches until one came across the 38 watchmakers at GTE. Though not much known like a Vacheron Constantin or an Omega these independent watchmakers not much known outside Switzerland have taken horological ingenuity to new heights unsung and unnoticed. 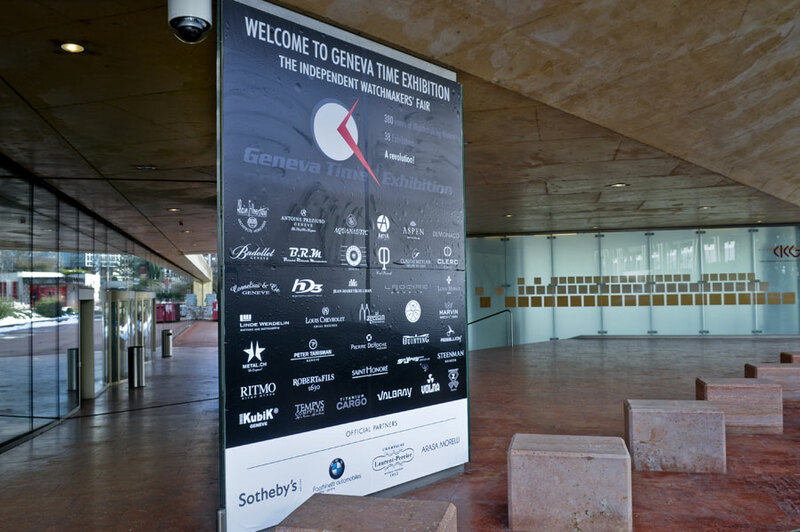 Sotheby’s, BMW, Laurent Perrier and Arasa Morelli were the official partners of this week-long event held at Geneva. The Fair’s success has reinforced GTE’s plans not just to repeat the GTE experience in the coming year – but also to export their all-in fairs concept abroad. The first stop will be India, the darling nation of Swiss watch manufactures. The fair will be held in the commercial capital and called, the Mumbai Time Exhibition. The Manufactures represented were Ateliers Louis Moniet, Peter Tanisman, Saint Honore Paris, Ladoire Geneve, Cecil Purnel, Clerc, Titanium Cargo, Robert & Fils 1630, Swisskubik and others.